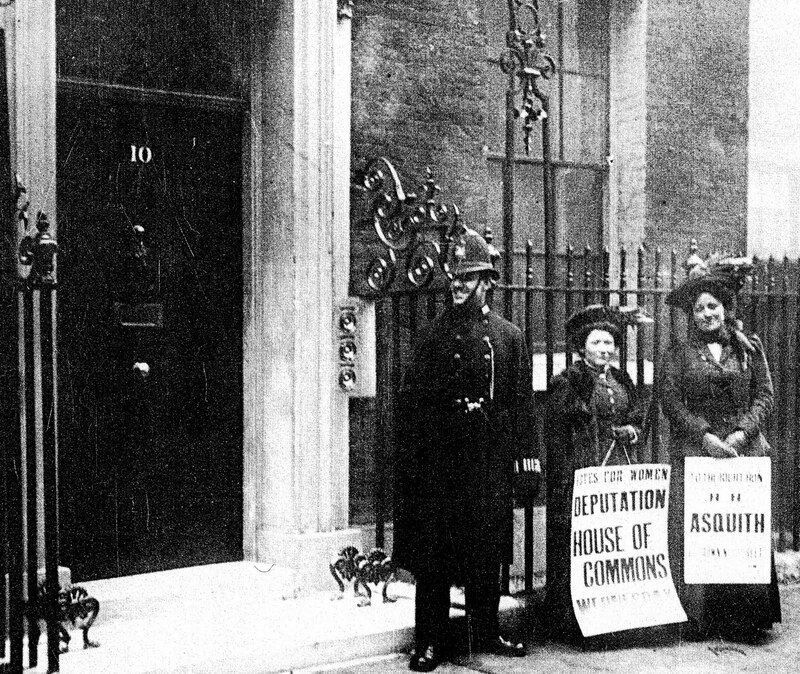 This image, from the government web site, is designed to promote the idea that in Britain, notwithstanding its history of world-wide imperial power, for the last couple of hundred years the Prime Minister has lived in a modest but comfortable town house in an unpretentious street within a few minutes’ walk of the House of Commons. 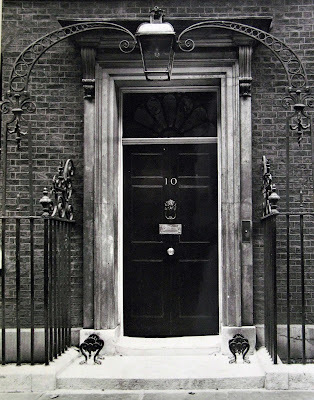 The façade of Ten Downing Street, which dates from about 1774, is the cosmetic mask of a structure that has been largely rebuilt during the last half century. The foundations of the house and its neighbours, begun in the late 17th century in boggy ground near the river, had not lasted well, and a programme of rebuilding was put in hand in a hurry from 1960 to 1963 in order to forestall a major collapse: nearly two-thirds of the structure was renewed. More has been done since then to adapt the complex to its function as a centre of government. More alterations were made in order to add some meretricious glamour to the interior, a move that I imagine would have been distasteful both to the restorer and to Harold Macmillan, the Prime Minister for whom the earlier work was done, who ‘insisted on a certain simplicity, with no gilding of cornices’. Yet more changes have been made in the name of security. 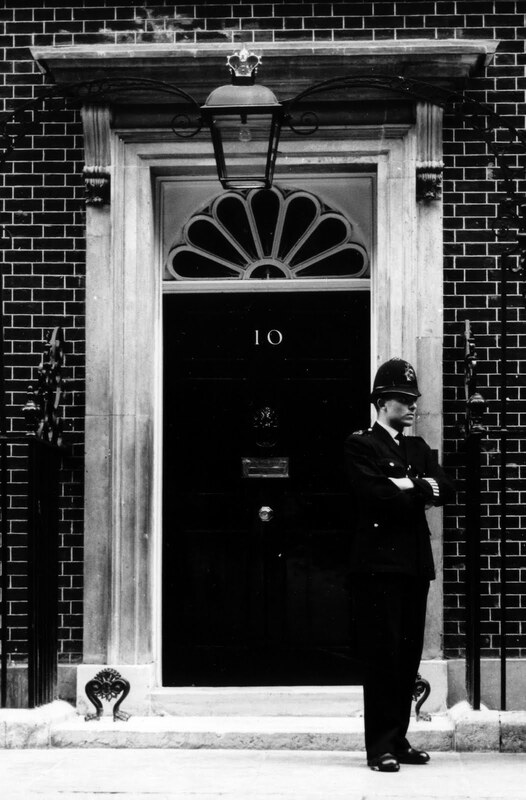 A single unarmed policeman used to stand by the front door, past which anyone could walk. 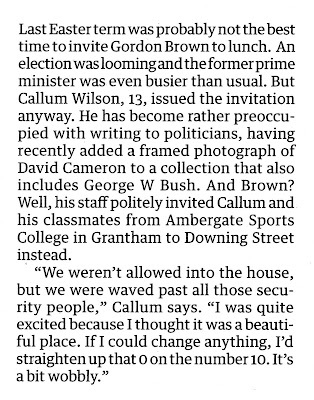 For a long time now public access to Downing Street has been denied. There are gates, rising barriers in the road, and a permanent armed guard at both ends. 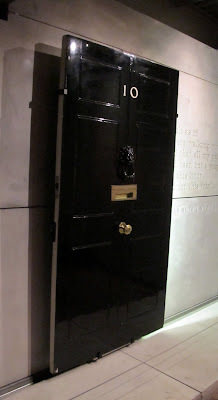 The front door of number ten is a steel plate. 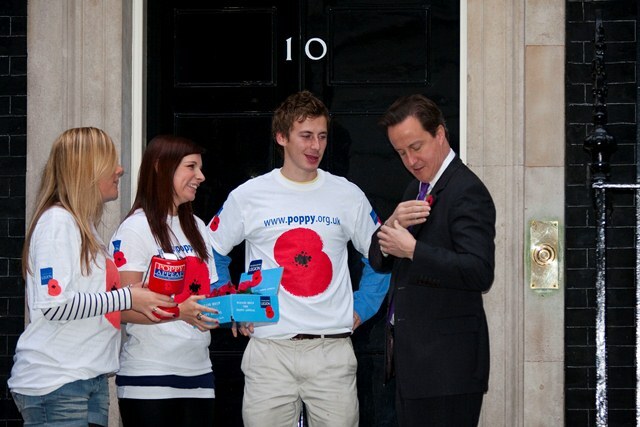 The Prime Minister does not walk to the House of Commons. But the inaccessible façade is very familiar. 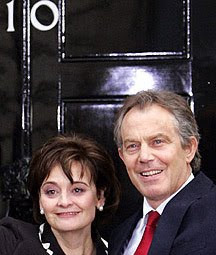 It is regularly exploited as the backdrop for carefully staged political photo-opportunities. Ten Downing Street is a brand and the number that now appears on the shiny armoured door is its logo, slick in its drawing but unaccountably crude in its design, which echoes the forms of the numerals that were placed there after the rebuilding but making them much bolder, perhaps in order to secure a better image under the glare of the flashes of the photographers. One may not like the result, which unlike the rest of the carefully restored architectural detailing is historically badly informed: the model for the oddly tilted zero (for which an unconvincing explanation has recently been produced) will be shown below. But it could be said that both the slickness and the crudity are well suited to the present function of the site. 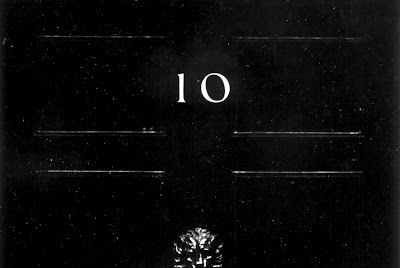 In 1960–3 the rebuilding of number ten, together with the unnumbered house next to it and number eleven, was overseen by the architect Raymond Erith, who also designed a wholly new number twelve, the large house at the end of Downing Street towards the park that had been reduced to a stump of a single storey by a fire during the 19th century. 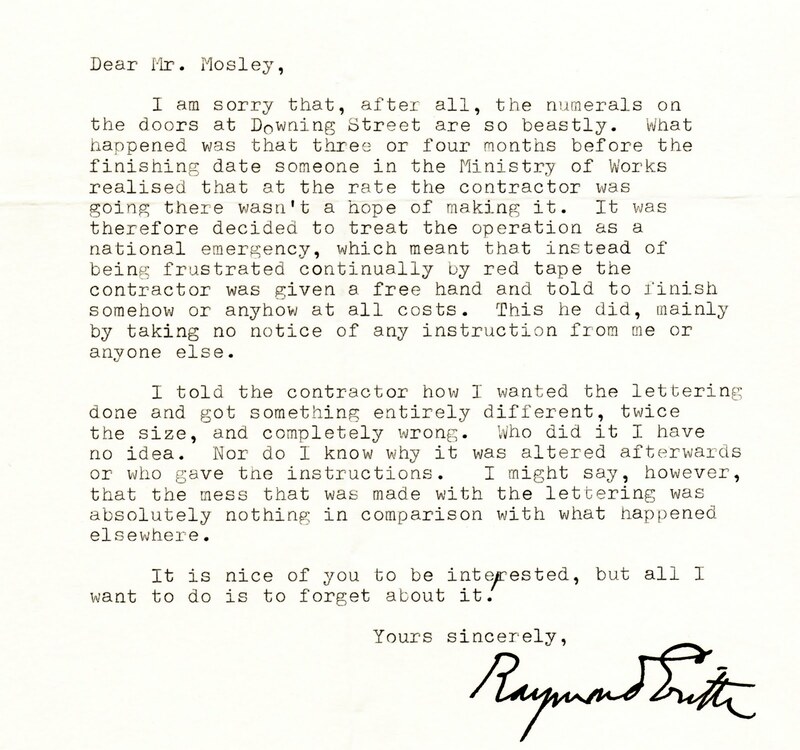 Raymond Erith (1904–1973), seen above during the work at Downing Street, was known as a ‘classicist’. That is, he designed in a tradition that often named the work of Palladio as a model, but in his case what it produced generally looked as it had been built in England between about 1730 and 1800. Indeed, the simpler his houses are, and they are often very simple indeed, the more convincing they are as genuine survivals from the 18th century. In Erith’s case design was not so much a matter of reproducing detail, although the details are mostly flawless, as of thinking in a traditional idiom, and he achieved a reliable quality of construction from a relatively small group of builders, carpenters and masons. 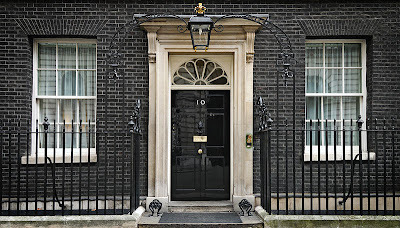 If the task at Downing Street had been simply to renovate the existing houses, keeping what could be kept and replacing some parts where this was necessary, and of course designing an enhanced number twelve that would look as if it had always been there, all might have been well. But when the occupants moved out and a proper investigation could be made, the extent of the rebuilding that it became evident would be necessary, and the specification that would make the whole complex workable as a centre of power, even in 1960, was very demanding, and the construction was undertaken by a major contractor who was overseen by the department of government known as ‘The Ministry of Works’, a name with 16th-century echoes. The administration of the large contract would test the ministry’s ability to manage labour relations a long way beyond its limits, and the architect was inevitably a victim of conflicting forces beyond his control. It seemed to me at the time, in an innocent and opportunist kind of way, that Erith, like most of his profession, probably knew little about the shapes of letters and numbers, and that, with his known attention to detail, he might like some suggestions about the kind of numeral that would have been placed on the door of a house of the 18th century. Being in the middle of preparing an essay on what I called ‘English vernacular’, an attempt to document and encourage the appreciation of a badly neglected tradition of British lettering, I thought I had some useful models to offer. He responded to me with great courtesy, promising further contact when the time came. In fact I heard nothing further from him. As the work at Downing Street progressed, one heard only distantly of the constant rows and labour disputes at the site. When the buildings were finally done and back in use, I walked past number ten (as one still could) and looked at the result and photographed it. A barely competent signwriter had painted the numerals rather badly in a small, weedy version of the Ministry’s standard ‘Trajan’ letter. The figure one was recognisable as a numeral, but the zero was a capital O, with the inclined axis of a calligraphic Roman inscriptional letter of the first century. Except that in this case the writer had failed to make the two sides match: the effect was of a curiously kinked form. I do not know what kind of model Erith had supplied and, notwithstanding the courtesy of his first letter to me, I have the sense that he did not really want the involvement of an outsider, so I can’t claim to have made any contribution to his vision of number ten. The number on the door comprised the figures one and zero from the standard ‘Trajan’ alphabet approved for use by the Ministry of Works, in which the zero was simply the capital letter O. The capitals were derived from Roman Lettering, a book by L. C. Evetts published in 1938, in which the inscriptional letters, which are now recognised to be essentially calligraphic, were given a geometric construction. The figures were adapted from some by Evetts, whose subtitle was, ‘a study of the letters of the inscription at the base of the Trajan column, with an outline of the history of lettering in Britain’, and who included some quite sympathetically drawn details of letters and numerals from 18th-century gravestones. But in the adaptation made for the Ministry of Works the figures are made to range with the capitals, and the capital letter O is introduced and made to serve as zero, an incongruity that Evetts was not responsible for. As I have noted above, the number added to the door was painted with an unsure hand by a far from expert signwriter, so that the zero or O had a curious kink on the right hand side. The oblique stress of the zero, which appears to have been newly introduced in 1963, appears to have generated a pseudo-tradition that must surely be bogus. The original? Badly-fixed? What does that mean? The suggestion seems to be that there had originally been brass numerals, attached by screws. But is there is any evidence at all for that, and if so what is it? It seems likely from the image of Raymond Erith at Downing Street that is shown above that a new wooden door, perhaps the one on which the pathetic ‘Trajan’ figures were to be painted, was made in 1960. 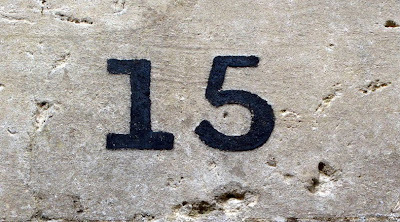 What kind of numerals had there been before, and what do we know about them? 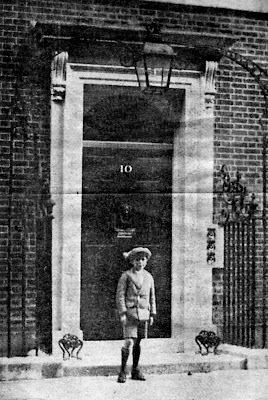 There are some photographs of ten Downing Street that date back to the later 19th century, but they tend to show the whole house or indeed the street, and none that I have seen shows enough detail to enable one to discern the form of the figures on the door. However, for the early 20th century there is some useful evidence. In all these images it can be seen that the figures are painted in white by a professional signwriter, and that the axis of the curves is vertical and thus wholly unlike the oblique angle of the Trajan letter O. This is of course what one would expect from traditional English signwriting. It seems likely that the number would have been be redone every time the front door was painted, but one would expect that the form of the figures, which was conventional and traditional, would remain essentially unchanged, like the style used for the names of the successive occupants of rooms in colleges at Oxford and Cambridge or the inns of court in London. If that was so, then there is no reason to think that this number differed significantly in its appearance from one that may have been placed there in the 1770s, when the structure of the façade was renewed and the houses in the London streets were being numbered. In fact the capital letters of the Bowles alphabet make an even closer match. 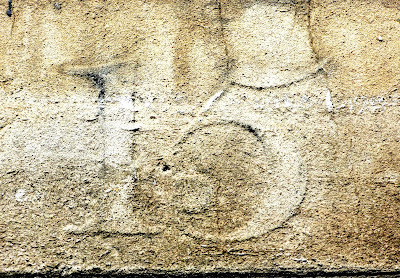 If one takes Bowles’s capital I and O and cuts off the top right hand serif of I, this is the result, one that is not so very far from the figures in the images of the old door at number ten. At some date during the 1930s – certainly by 1938, when the files of Picture Post begin to provide intermittent photographs of the door of number ten – the ‘traditional’ figures shown above were supplanted by a lighter pair painted lower down on the central styles or uprights of the door, between the top and middle panels. Although the poor quality of such images makes it difficult to be quite sure, these lighter figures in their new position appear to be those that are shown in the photograph below, one that appears to have been made just before the start of the rebuilding. They have strokes that are thin and meagre compared with those of their predecessors, and there is possibly (though it is difficult to be sure) a faint hint at a Trajan-style slope in the zero. However it is nothing remotely like the strongly oblique zero or capital O that appeared in 1964. Unlike that pair of figures these are competently executed, but perhaps they mark the beginning of the shift in style that can be seen to have led fatally towards the widely-disliked numerals that are in current use, and which have reverted to their old location, aligned with the upper panels. I strongly suspect that the story about ‘badly-fixed numerals’ (presumably brass ones), that is said to be cited by the official web site as an excuse for the odd-looking zero on the door of number ten, may be a recent invention that has been produced by someone, evidently someone wholly ignorant of the use of the Trajan capital letter O in the 1960s, in order to parry tiresome questions or remarks about the ‘lopsided’, ‘wonky’ or ‘wobbly’ number – see the words of a schoolboy quoted below from the Education Guardian of 2 November 2010. But are there in fact any brass numerals on surviving house doors that can reliably be said to date from the 18th century or even the earlier 19th century? I know of none, either in London or in provincial towns like Bath, where such things are more likely to be preserved. If there are any, I’d like examples, please. I hope it will not seem too grudging if I say that I do not think that the newly produced numerals quite match the qualities of the old ones shown in this image (an eternal problem in conservation work), but I am delighted to find that an organization devoted to architectural ‘heritage’ should recognise that numerals, and letters too, often make up a significant detail on a building. If only English Heritage, and the Georgian Group (who are still devoutly wedded to the Trajan model), showed even a flicker of informed interest in such details. This is a welcome positive note to add to this post, which has been mostly negative (and I make no apology for that) in its judgement of those who have recently been responsible for maintaining the door of Number Ten. Having mentioned Bath, let me add another pair of images. Although I have failed to spot any convincing early examples of brass numerals there, I can offer these painted ones, both of which are over the door of number fifteen Lansdown Crescent. The legible painted number 15, which is a survival of something early, perhaps of about 1830, is in a style that historians might call ‘slab-serif’ (or ‘Egyptian’). If sensitively handled it could make a possible model for use today. 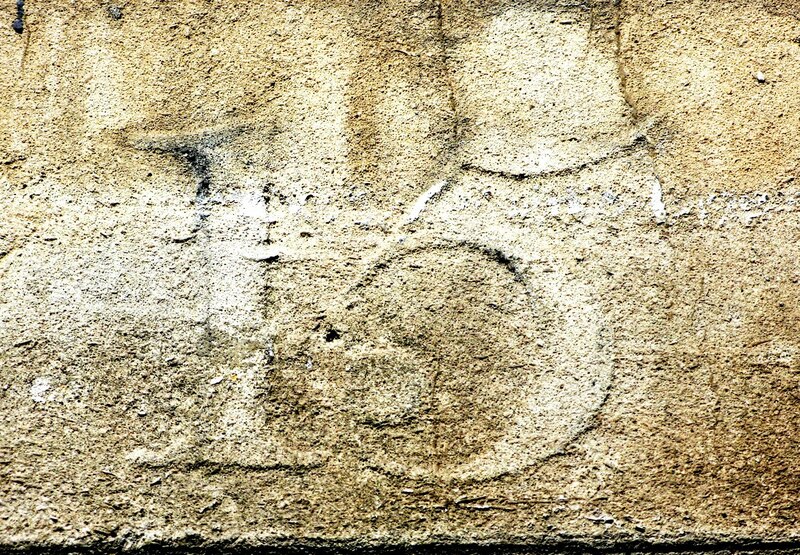 A more remarkable survival is the ghostly numeral below, an example of the traditional signwriter’s style, where the paint, long gone, protected the soft stone from erosion sufficiently to preserve a decent figure 1 and a delightfully inventive 5. 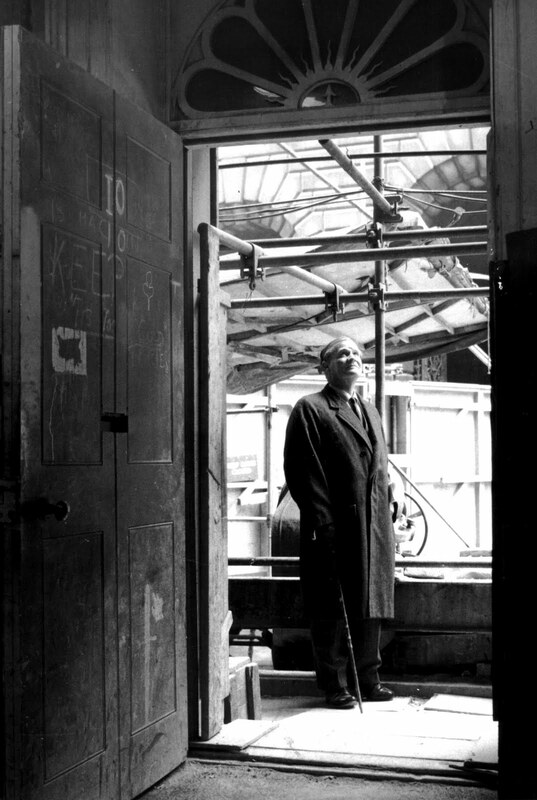 The photograph of Raymond Erith reproduced above shows him next to a new-looking unpainted door that may have been intended to replace the old one, but it is far from clear whether this was done, or whether the old door was refurbished and kept in use. This is how the whole doorway looked after the restoration, in a photograph that I think I got from a news agency. 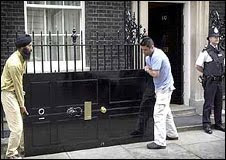 In the BBC story a ‘replica door’ is shown, which is said to be kept to replace the armoured one when that is being repainted. Is it perhaps the new door shown in the photograph with Erith? Reluctantly, I have had to abandon one other candidate for a front door for number ten that was reported to me in good faith. In 1964, via a helpful connection, Downing College, Cambridge, was able to acquire one or more original doors that were not being retained for the rebuilding. One of these now serves there in a part of the college. See Downing College Association Newsletter and College Record, 2004, p. 26 and back cover. From the college records and from some details of its construction it is clear that this is an interior door, but not the front door, from number ten. This piece originated with some remarks in a talk for ATypI 2007 in Brighton, followed up with a letter in the London Review of Books, 17 July 2008, in response to an essay by Peter Campbell, ‘At the door’, in the issue of 19 June. He had been under the impression (and it now appears that Number Ten had the same delusion) that the numbers were brass ones. I offer my thanks to correspondents who have encouraged the making of this post and supplied information for it. Just before this post was made I wrote a letter to 10 Downing Street with some brief factual queries. This, eventually, has been the response. It gives some information regarding some dates that by this time I had been able to find, although it helpfully adds the date of 2008 for the last repainting. 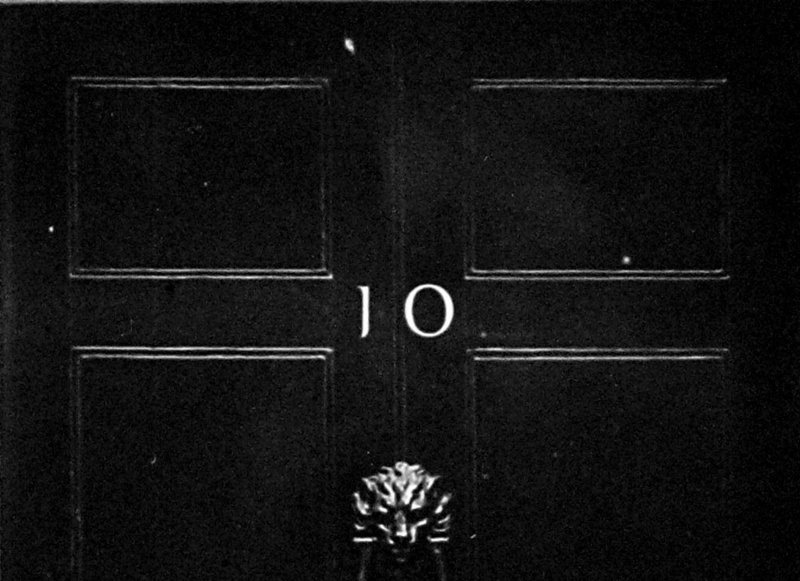 But it provides a version of the story that I have already cited – that the number 0 is oblique because it continues the tradition of one that ‘slipped’ – that is more circumstantial and even less plausible: not only is it unlikely that George Downing placed numerals on the doors of his buildings of the late 17th century, long before houses in London streets were numbered, but the visual evidence shown above indicates that the axis of the earlier numerals of which we have images was vertical, and that the ‘skewed angle’ of the 0 dates from the use of the ‘Trajan’ model in 1964 (a slight inclination having just possibly been initiated in the 1930s). In other words it must be said that the story bears all the marks of a recent fabrication. It will be noticed that Mr Smith offers no source for it at all, printed or documentary, and gives no date. 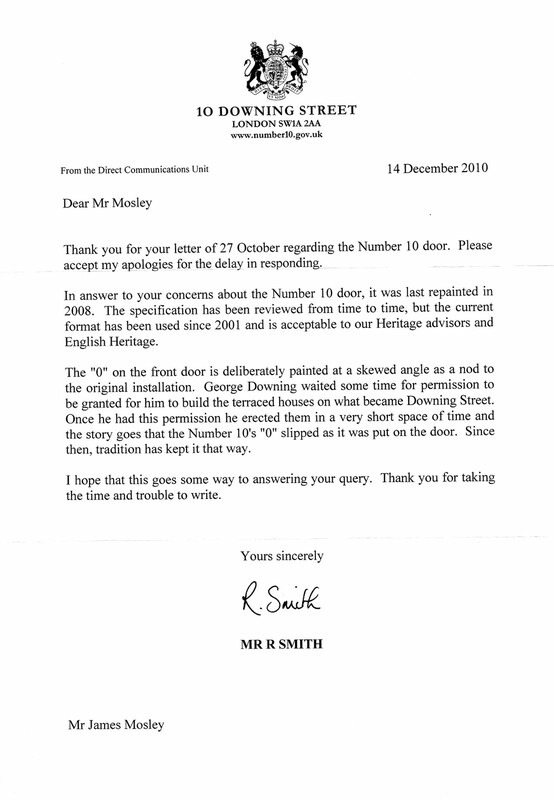 I wrote back briefly on 20 December 2010, asking for a source for the story about the ‘slipped’ numeral, and for the names of the Heritage advisors. Perhaps not surprisingly there was no reply. Indeed it seems doubtful whether Mr Smith even exists: as has been widely reported, Downing Street acknowledges that it uses false names in its public correspondence. 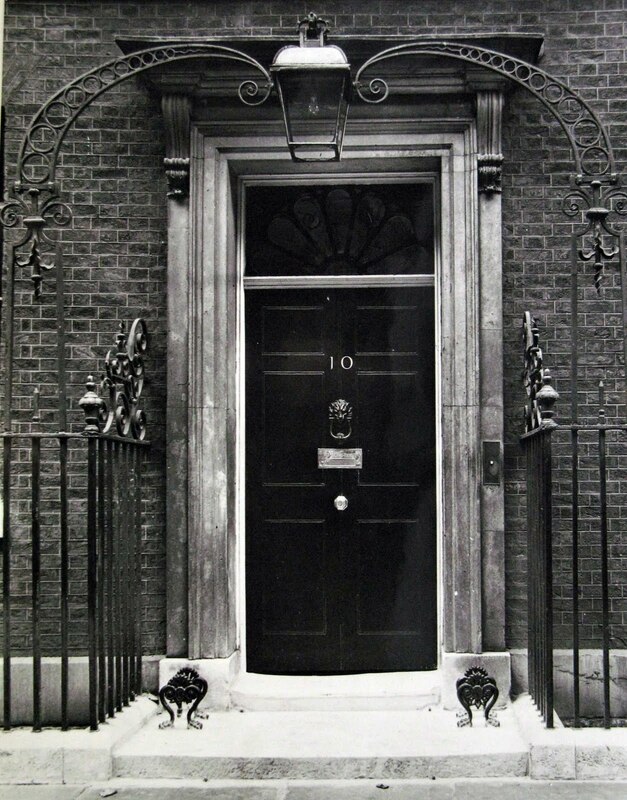 A detailed narrative of the troubled work at Downing Street in 1960–3 was given by Nicholas Taylor in The Architect and Building News, 25 December 1963, pp. 1031–6, a reference that is cited in the biographical study of Raymond Erith by Lucy Archer, his daughter, published in 1985. 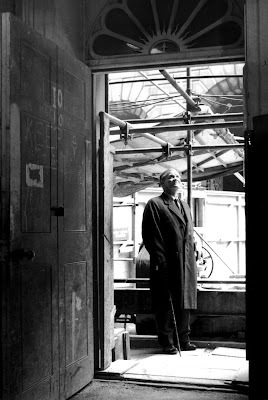 See also Raymond Erith, progressive classicist 1904–1973: an exhibition at Sir John Soane’s Museum, 8 October – 31 December 2004 (London: Sir John Soane’s Museum, 2004). The image of Erith with the unfinished door of number ten is shown in both works. In my remarks about Erith above I associate a remark by the prime minister Harold Macmillan (‘no gilding of cornices’), quoted from Taylor’s article, with Erith’s undoubtedly genuine taste for simplicity: it occurs to me that Macmillan, who let the so-called Euston Arch be demolished at about this time to enable a commercial development to proceed, was probably just expressing his reluctance to spend more money on the restoration than was strictly necessary. 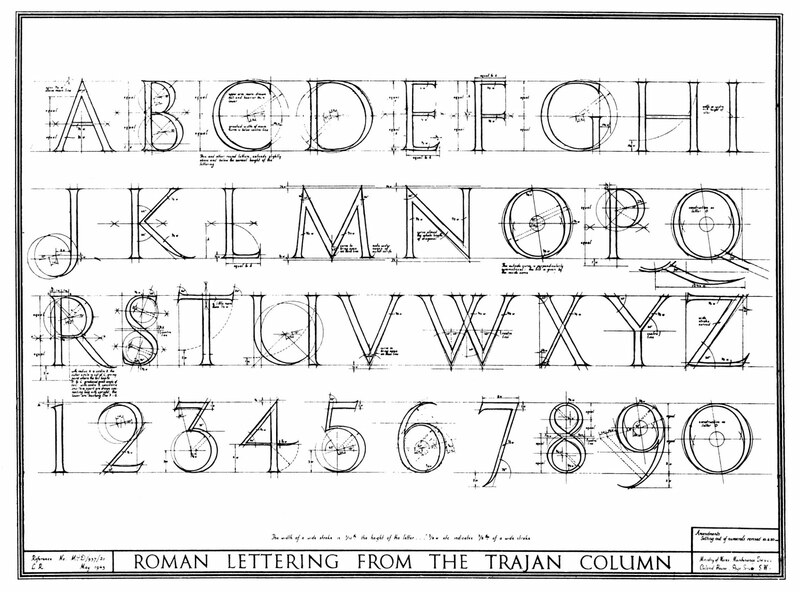 The ‘Trajan’ alphabet of the Ministry of Works was based on L. C. Evetts, Roman Lettering: a study of the letters of the inscription at the base of the Trajan Column (London: Pitman, 1938). The incised inscription of about 1787, presumably the work of a professional letter-cutter, from which a detail is shown above, is on the monument to Sir John Tyrell and his wife, died 1766, by Joseph Nollekens. Having been acquired from a redundant church in Essex by the Victoria & Albert Museum in 1970, the monument is on exhibition in the museum’s sculpture gallery. Bowles’s Roman and italic print alphabets, which has figured more than once in this blog, is more fully, Bowles’s Roman and Italic print alphabets, on a large size complete; with figures, double letters, the most useful diphthongs in the modern taste; designed chiefly for the use of painters, engravers, carvers, grave-stone cutters, masons, plumbers, and other artificers; likewise very useful for merchants and tradesmen’s clerks. Printed for and sold by the proprietor, Carington Bowles, at his Map and Print Warehouse, No. 69, St. Paul’s Church Yard, London. The plates are dated 6 June 1775. Education Guardian, 2 November 2010. 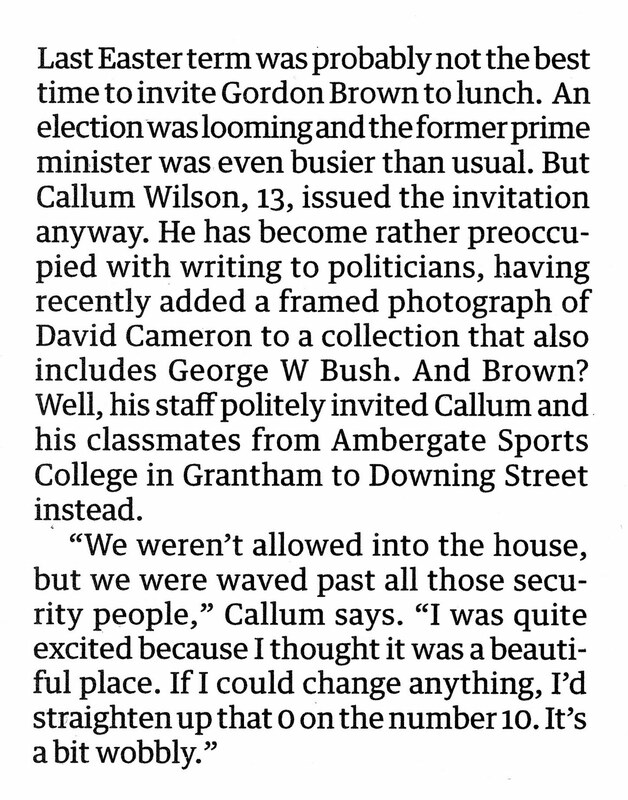 The following letter to The Times of 18 May 2010, that I have only just come across, was written in response to one that referred to the sloped zero on the door to Number Ten but which was frankly facetious. It suggests, although without giving references, that the Trajan zero may already have been the subject of some discussion in the 1960s. 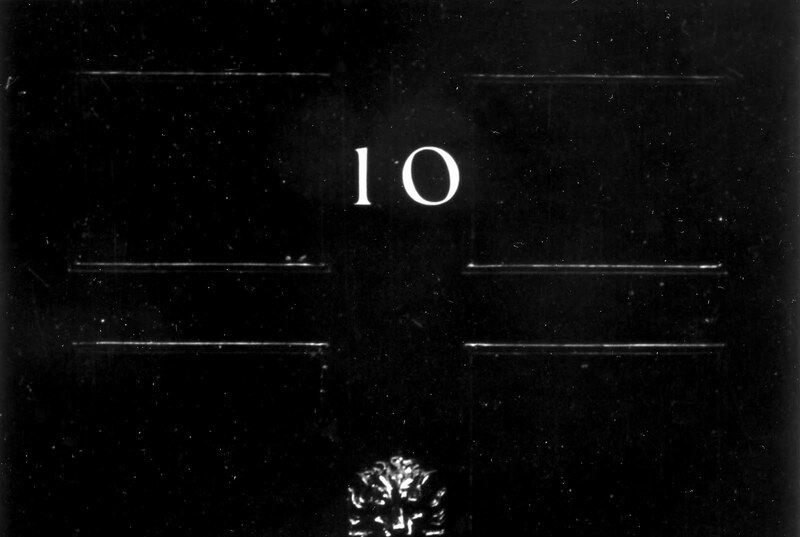 Sir, Dr Frank Foster (“Zero problem”, letter, May 14) revives an old controversy on the orientation of the zero on the door of No 10, which was extensively debated in the architectural press in the early 1960s. 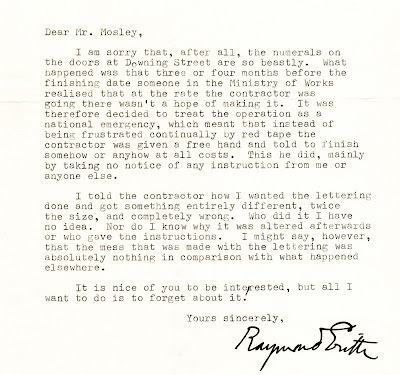 Raymond Erith, who supervised the reconstruction of Downing Street in 1960, was the premier classical architect of his day and was expert in all aspects of Georgian design; he would most certainly not have made such an elementary error as to misalign a Trajan zero. 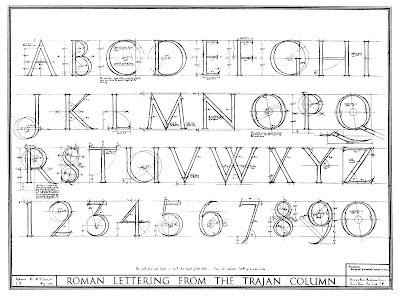 The “Roman” serif alphabet is derived from the inscription on the base of Trajan’s Column in Rome — this was published by Sebastiano Serlio in the fourth volume of his treatise on architecture in 1545, and an analysis of this by Albert R. Ross may be seen in Letters and Lettering (1921), by Frank Chouteau Brown. Given that the Romans did not use Arabic numerals, it seems reasonable to take the Trajan alphabetic capital O as how they would have represented zero. Ross shows that the outer form of the letter is circular, but the inner ellipse is “inclined to the left” by 37 degrees, according to the construction as shown. It is hypothesised that the “thicks and thins” of Trajan are derived from lettering with a “chisel-tipped” brush or quill — held diagonally in the right hand this would naturally produce the effect shown. This is how all calligraphers are taught to render the Trajan zero. 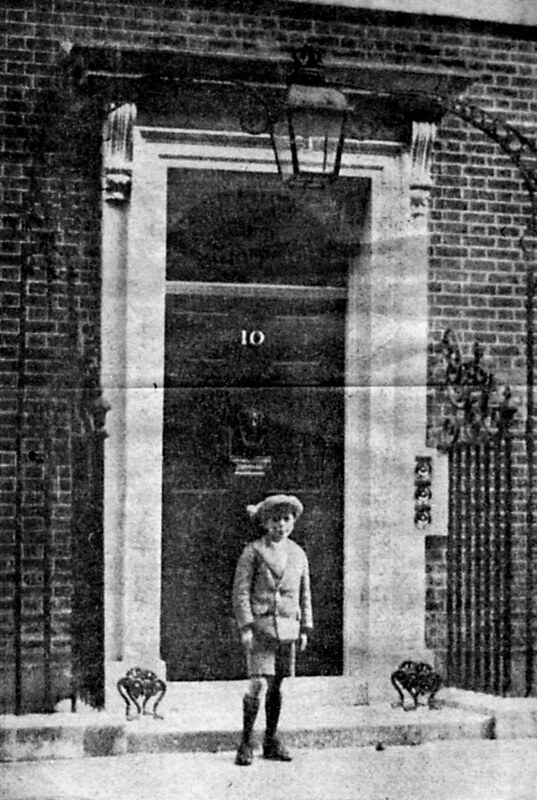 Erith’s positioning is confirmed as corresponding to the original by the iconic 1924 photograph of the eight- year-old Harold Wilson (pictured above) in front of the door of No 10. 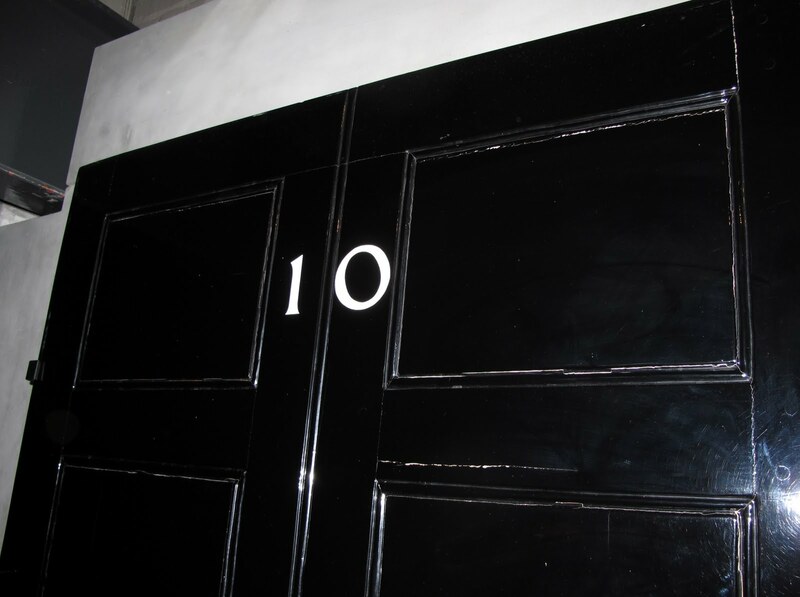 Incidentally, there is more than one No 10 door — I believe there are two or possibly three doors, with the spares being kept in reserve in a warehouse, and switched overnight as necessary when repainting or repairs are necessary. 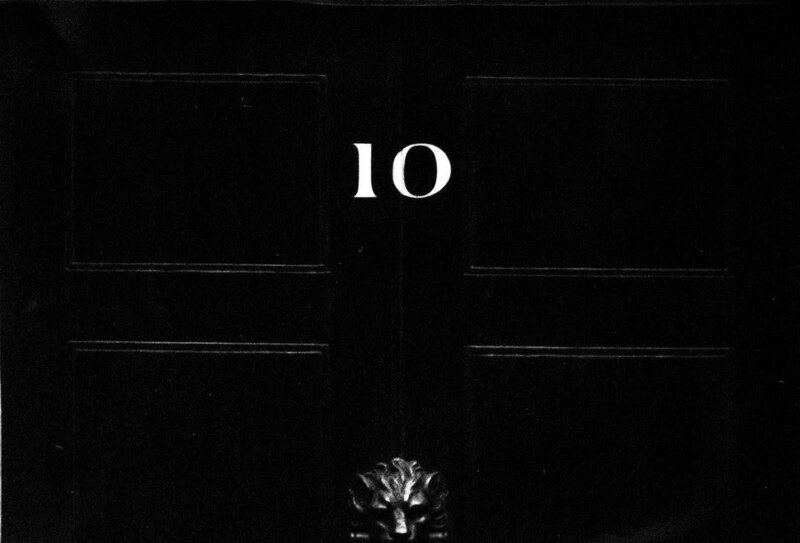 Presumably each has a duplicate set of door furniture of lion’s head knocker and the “10”. I am not sure that I follow some of the lines of argument that are deployed here, nor is it clear whether the writer knew from personal contact exactly what kind of numerals Raymond Erith had proposed. Moreover it is based on some questionable assumptions. For example, the letters of the inscription on Trajan’s column, which represent only one model in use in Imperial Rome, have had only two periods of influence on lettering in general, once in Italy during the 16th century and once more in England during the 20th; in any case the alphabet that appears in an edition of Serlio’s architectural treatise was not at all closely related to the Trajan inscription, nor did it appear in the original Italian edition of 1545 but in much later ones published in the Low Countries and England. The ‘extensive debate’ that it refers to, concerning the numerals at Number Ten in the architectural press during the early 1960s, needs some citations in its support. Examples will be welcome.